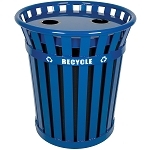 Outdoor recycling container perfect for setting. 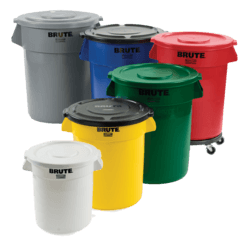 Also available in 50 gallons. 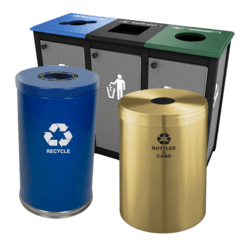 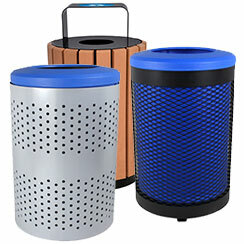 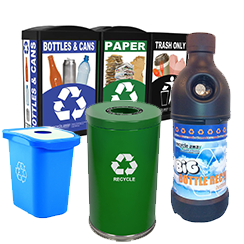 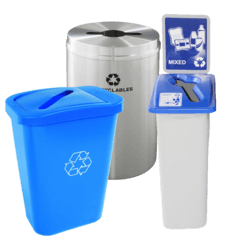 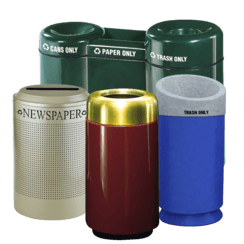 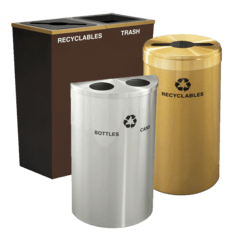 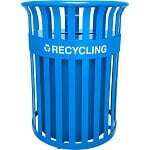 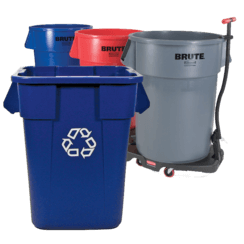 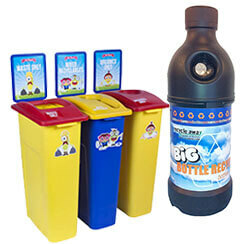 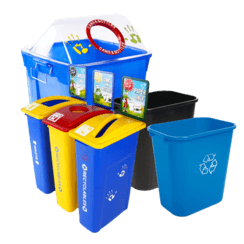 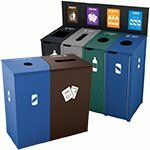 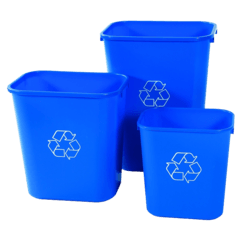 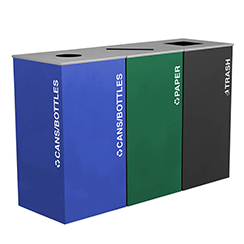 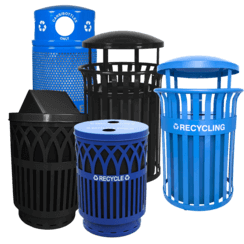 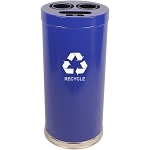 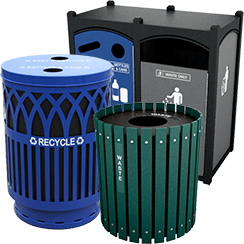 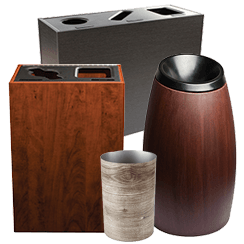 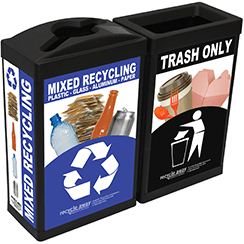 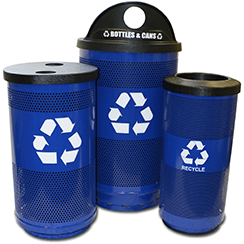 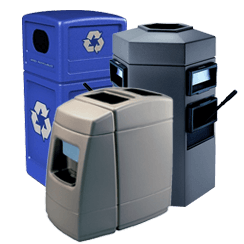 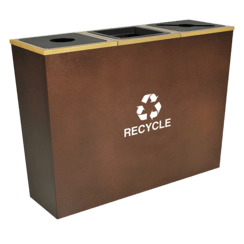 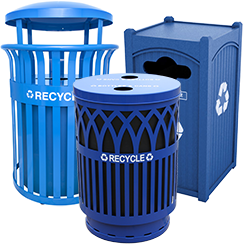 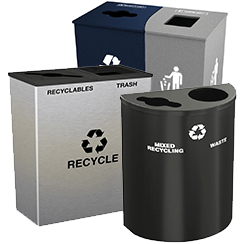 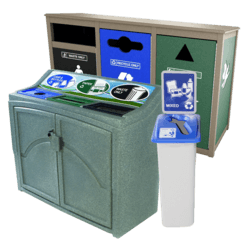 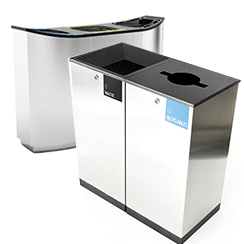 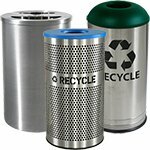 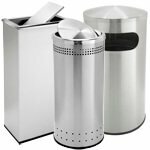 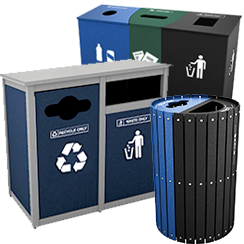 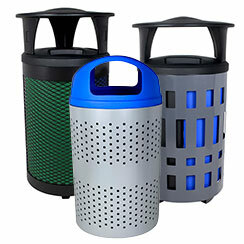 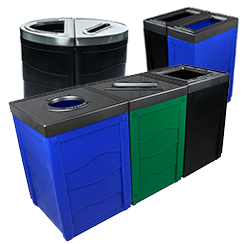 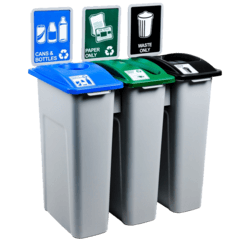 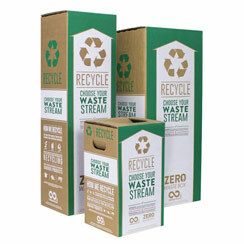 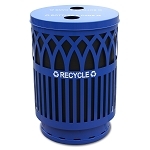 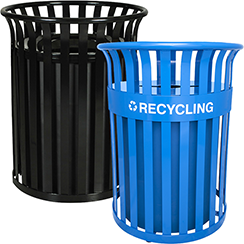 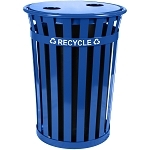 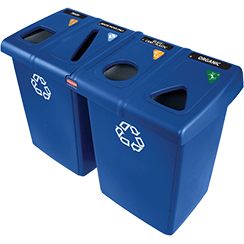 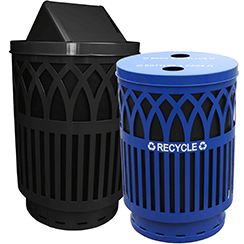 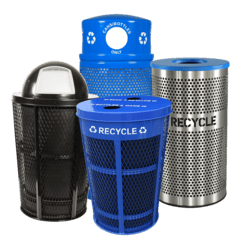 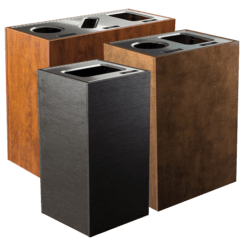 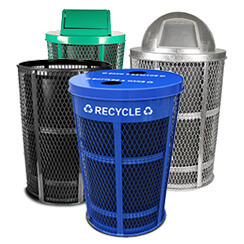 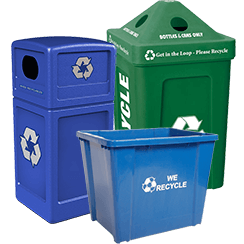 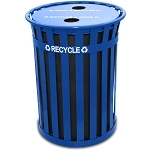 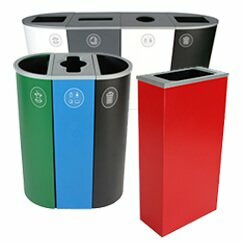 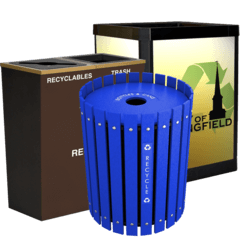 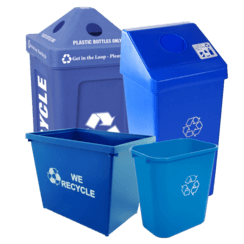 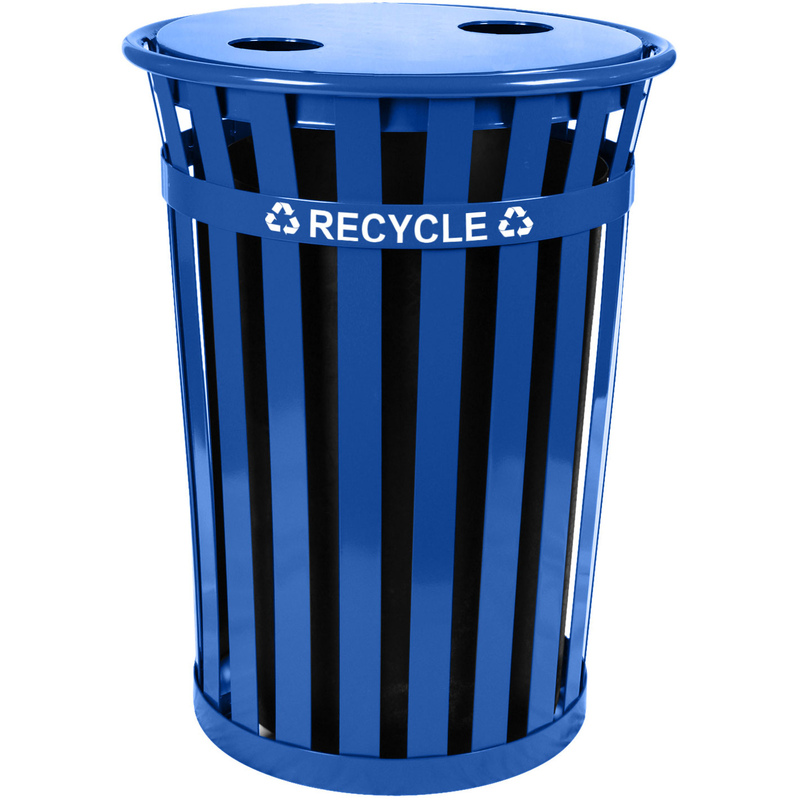 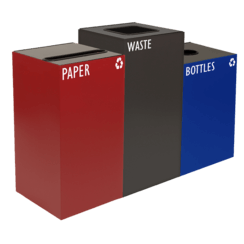 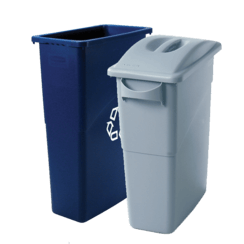 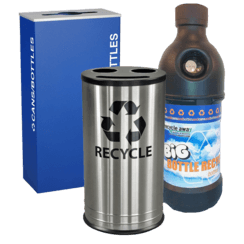 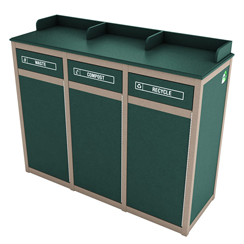 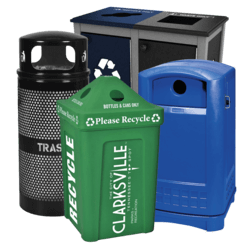 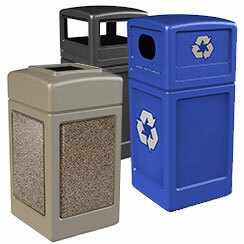 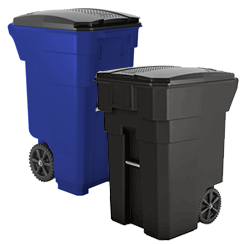 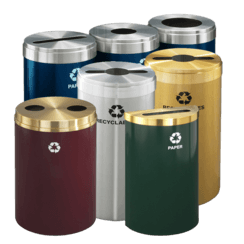 Outdoor recycling container perfect for street scapes, cities, universities, parks. 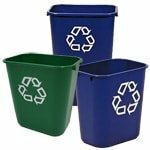 Anywhere high traffic recycling is needed. 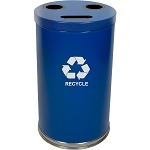 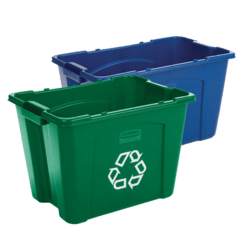 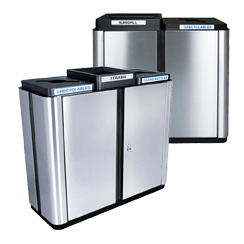 Flat top with 2 openings is perfect for single stream recycling. 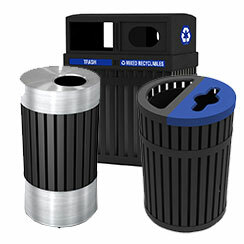 Comes standard with a rigid plastic liner, leveling feet, anchor kit and lid attachment kit. 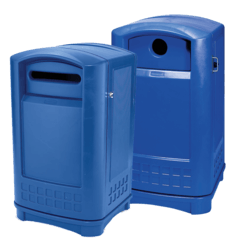 36 Gal 28"dia x 36"h Blue 95 lb. 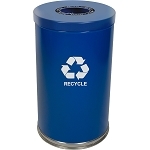 50 Gal 28"dia x 36"h Blue 100 lb.